There is something about Chelsea and World Class goalkeepers. The first had Petr Cech, replaced him with Thibaut Courtois and now have Kepa Arrizabalaga in their squad. The world-record signing has settled in well at Stamford Bridge and is slowly showing everyone what he is capable of. 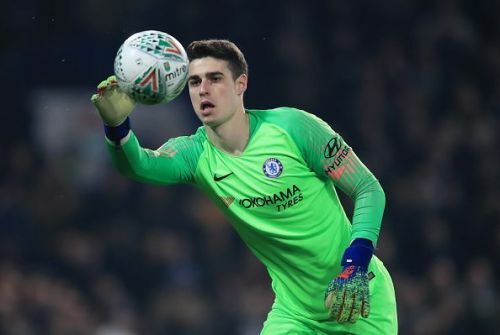 The shot-stopper has been brilliant between the posts and has been a vital reason why Chelsea are still in the top 4 and alive in all competitions. Rated at just 83 in FIFA 19, Kepa Arrizabalaga is now set for an upgrade. The Spaniard might not be anywhere close to De Gea but the ratings EA have given them makes it look like they are way further apart. Kepa deserves a rating of 85 at least and given that he has performed really well on the pitch this season, EA should consider giving him that upgrade.